Search for an mPark managed parking lot for your destination and experience hassle free car parking! Our search feature allows mPark users to search for parking space and its availability. Pre- book a parking slot for yourself. This feature allows users to pre-reserve a parking slot in advance. Choose the time and duration of parking for yourself. On arrival at your destination, get navigation support and direction to find your booked parking slot. This feature will guide you and give directions to find your parking slot. No more circling around; directions are available on your mobile phone. You have arrived, park it right there! mPark, the comfort of parking! No need to memorize your parking slot, it is there on your mobile phone. Also, view your parking history on last four places where you parked. Get a broadcast message on your parked vehicle! HOW CAN mPark CHANGE YOUR PARKING EXPERIENCE? Service excellence is our primary focus & we are duty bound to provide easy parking facility to our customers. We provide On-Street & Off-street parking solutions & can manage the most complex of the parking lots. Our clever technology enables customers to find a parking spot easily & quickly. This way we reduce overall time spend in locating a parking spot, thus making parking convenient rather than a pain. We support parking lot Owners right from defining parking spaces to managing payments & driving overall value from parking. With our simple interface , we handle complex back-end solutions to maximize productivity & make parking a pleasant experience for all. mPark technology will lower your costs. Our technology can integrate with your existing parking systems & thus your current investments are protected. We do not require heavy infrastructural investment thus adding value to your value chain. Our highly intelligent systems such as In-ground vehicle detection sensor and Smart management tool work together to give you instant and comprehensive information on space usage. Our smart dashboard will enable you to access every single data on a real time, thus avoiding any pilferage in parking collections. Zero pilferage means no loss in revenue & this would maximize overall profits. Our parking systems uses the most advanced technology. This reduces any expenses on R&D to keep updated with present trends. • If you are looking to improve occupancy in under-utilized bays-mPark guidance system can be the game changer. • If you are looking to improve your revenue from compliance and penalties-mPark is the right tool. mPark is the next generation of smart parking that will change the way parking facilities are being managed. Our growth lies in driving value for our customers. We are committed to optimize parking space usage, improve parking efficiency of parking operations & for smoother operations of traffic flows in your city. In present day scenario, Parking has become an essential part of our day to day activity. Parking is a major focus area for the real estate developers and township planners. It is also an area of significant concern for urban authorities and can also be a revenue matter to them. It is imperative that vehicles must park at every destination. 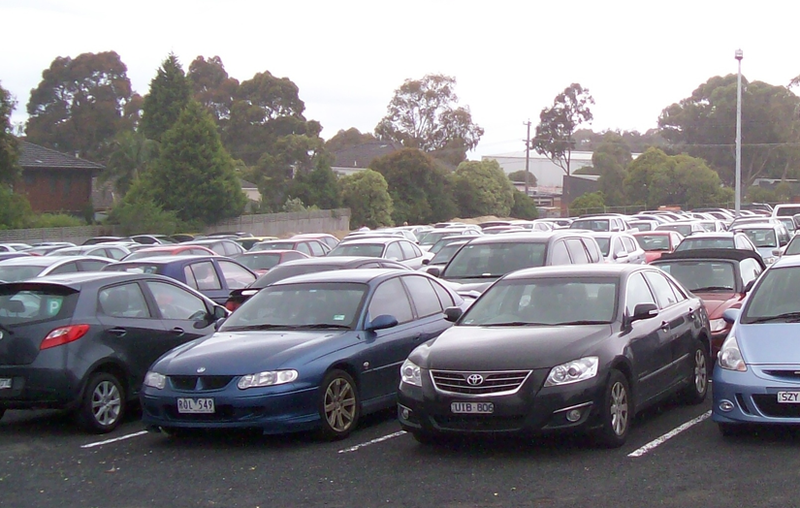 In general a typical automobile is parked at least 22 hours each day, and uses several parking spaces each day. Parking expediency affects the comfort of reaching destinations and therefore affects overall accessibility. mPark is an efficient parking management system from ConnectXcite that contributes in managing parking , saving fuel and reducing pollution. Automate your parking with mPark…. “mPark” is a mobile and cloud based parking management system developed by ConnectXcite Inc. USA, it’s technology is based on the most reliable and fastest “go-to-market” system for converting a manual parking system to an automated parking management system. “mPark” leverages the available technology of WiFi to manage parking lots without the need for any dedicated hardware at the user end. All that user needs is a mobile phone and the entire system is operated though mpark mobile application. Quick deployment and very high flexibility are the hallmarks of this system. • Can work alongside any legacy systems like cash, RFID etc. mPark designs, develops and produces outstanding leading-edge technology that enables clients to manage on-street and off-street parking efficiently and cost-effectively.We work closely with our clients, to analyze and understand their needs before supplying and installing the perfect parking management solution. mPark supplies the most efficient & cost-effective equipments to manage parking spaces. These contribute to smooth running of parking operations. Installation of mPark Smart Parking Technology is easier than you think. mPark uses wireless technology avoiding cabling, for ease of installation and minimization of costs.We install and maintain the equipment that you need to create a stress- free parking experience for our customers. Our systems have no impact on existing IT infrastructure. Our parking management solution improves customer satisfaction and revenue generation. With mPark you get visible, measurable improvement to the service you provide.Day-to-day management including payment, compliances and space management, is made easy. Future planning is based on comprehensive data gathered and analysed by mPark technologies. This enables you to improve your parking services, year on year. mPark will maintain your system to the highest standard, to deliver high quality services without compromise. Fuss-free and efficient maintenance means increased market share and revenue for you. This will enable you to concentrate on what drives business rather than fixing everyday issues arising in parking.mPark technologies are designed with ease of maintenance in mind.We drive businesses into profitability. Parking Plaza can be a bottle neck for smooth flow of traffic. This is due to the stop - pay - go system for cash/ Tag/ Biometric systems. Today, mobile phones are widely used and "mPark" liverage this wide usage of mobile phones to provide fast secure and feature rich service to parking users. "mPark" works on industry standard technologies and provides amazing range of inter-operatibility and compliance to security protocols. "mPark" is the fastest "go to Market " technology for stop- less electronic parking payment collection. Users receive alerts and valuable information about parking conditions, etc. with you to show you where measurable improvements can be made.